Build your career with KPMG, starting with the Foundations program. Find out here about eligibility, applications and career choices. 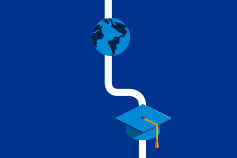 Build your career with KPMG, starting with the Foundations program. Find out more here. Our Foundations Program allows you to explore the endless career possibilities offered at KPMG. Our Foundations Program is a 2-day development session (1-day in some locations) designed to provide an immersive learning experience and equip you with the knowledge to make the right choices. You’ll get the chance to find out more about what we do, the different career choices available and application top tips. A career with KPMG can take you further than you ever imagined. And the direction you take is up to you. With so many options available, the KPMG's Foundations Program is a great place to start. You'll have the opportunity to network with peers and experienced professionals, learn more about KPMG and participate in a number of workshops designed to develop essential skills as you transition from student to professional life. Once you start your penultimate year of study, our Foundationers then have the opportunity to fast track through our Vacation Program selection process. Foundations is open to students from any degree discipline, and who are in their first year of a 3-year degree, second year of a 4-year degree or third year of a 5-year degree. If you’re in your penultimate year or final year, please check out our Vacation Program and Graduate opportunities. This program is only open to Australian and New Zealand citizens and Australian permanent residents. Applications for our 2019 Foundations program will open mid-2019. You can apply online by visiting Current opportunities. You'll receive a confirmation on submission of your application. If you do not receive this, please email gradrecruiting@kpmg.com.au. We will then review your application and determine your suitability for the program. Our recruitment representatives will contact you after the closing date for the location in which you've applied to advise you if you've been selected to participate in the program.